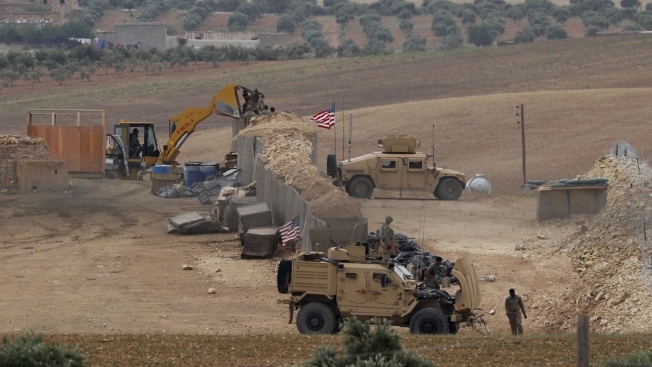 This May 8, 2018, file photo shows vehicles and structures of U.S.-backed coalition forces in the northern Syrian town of Manbij. Two months after declaring all U.S. troops are leaving Syria, President Donald Trump wrote to members of Congress that he now agrees "100%" with keeping a military presence in Syria, NBC News reported. "I agree 100%. ALL is being done," Trump responded, writing directly on the letter and signing it.